To create a functional, simple, clean and modern website design that will accessible from all the devices. To utilize and categorize properly all the design elements of the application and ensure that the experience of the user will be emphasized through an expressive and narrated landscape cross platform design. We analyzed the existing content architecture and we defined certain user personas characteristics in order to accommodate the difference between the user types (individual/corporate). We applied UX Research & Evaluation Techniques to define our new content architecture strategy based on our previous research findings. Following our data driven design methodology, we created the wireframe layout components for all devices breakpoints and continued with the User Interface Design & Implementation. 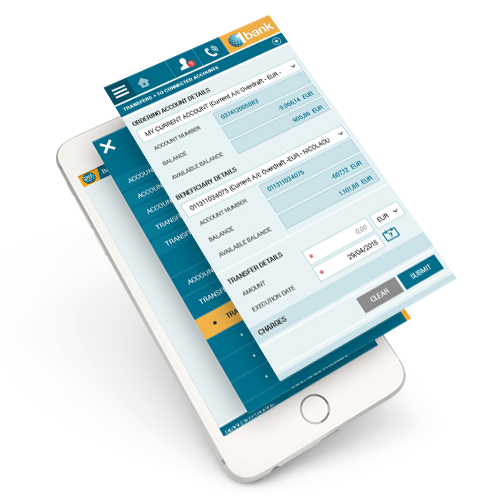 Taking into consideration the business objectives we managed to create a brand new design experience for the users of 1bank Internet and Mobile Banking (Bank of Cyprus). The new Internet Banking Experience accessible to all the device types and sizes.